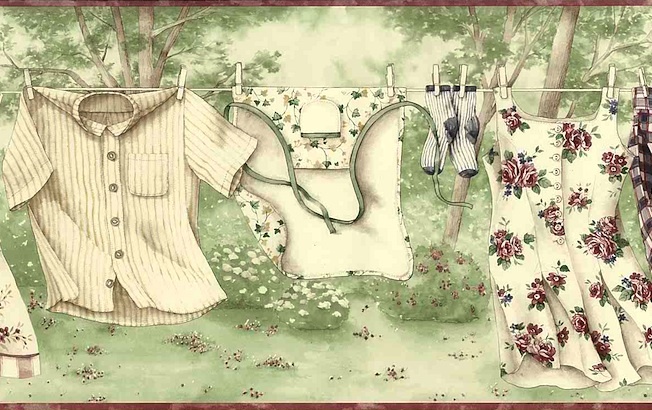 Wallpaper border Laundry Room clothesline with shirts, shorts, dress, pillowcase, socks, apron in different colors and patterns. The background is Cream with lots of Green. 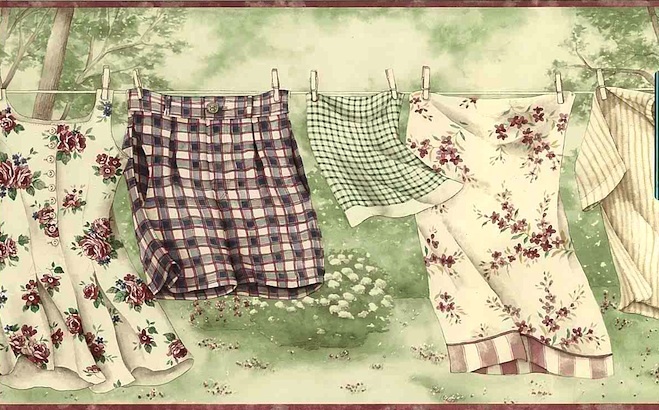 There is another border with the same pattern but a darker green background–Laundry 10. Usage: Ideal for a Laundry Room.